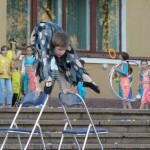 Alexey was spotted by his future coach Vladislav Rodin, in the Circus in Tula. Rodin has 30 years experience in training, his method is a synthesis of classical dance, gymnastics, rhythmic gymnastics, modern dance, martial arts and extreme flexibility of the body. 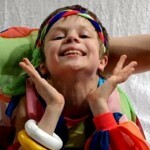 He has participated in many circus and arts festivals and competitions. Details of some of them are available, and these are listed below. Rodin has stated that Alexey won medals at ten such competitions in the period 2004 – 2007. In 2007 took part in the very popular TV talent competition: “A Minute Of Fame”. It’s the Russian version of “Got Talent”. This program made Alexey famous in Russia and abroad as well. In 2010 he took part in French TV Talent Show, Alexey has become a regular performer at the circuses, having worked at Circo Massimo, Rome, in July 2008, Circus Sarasota, Florida, in 2009, and Circus Conelli, Zurich, in November 2009. He has also performed on board a cruise ship: SuperStar Virgo, operating in South-East Asia, in June–August 2009. 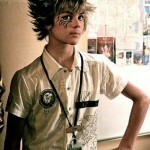 From June 2010 to June 2011 Alexey appeared in “Voyage de la Vie” at Resorts World Sentosa in Singapore. This production, billed as a “circus theater spectacular”, tells the story of a boy’s coming of age, through song and dance and circus arts.